Property 1: Bright 3 bedroom duplex perfect for work or vacation. Property 4: 10 min to Downtown! Walk 2 Eat, Play & Go! 7th nt Free off reg, Fenced Yard! Property 5: 3 Bedroom Home, in quiet, convenient location. Property 7: Downtown in 10min! Game Room! Heated Garage, Monthly rentals thru winter! Charming Anchorage Townhome w/ Furnished Patio! Property 8: Charming Anchorage Townhome w/ Furnished Patio! Hospital/College Location! King Bed!! Heated Gar, Grill, Fence! ALYS Specials! Property 9: Hospital/College Location! King Bed!! Heated Gar, Grill, Fence! ALYS Specials! Property 10: Modern Anchorage Townhome - By Delaney Park Strip! Perfect Getaway on the Lake! Hot Tub, Fire-pit, Paddle Boards! Truly lakefront! Property 12: Perfect Getaway on the Lake! Hot Tub, Fire-pit, Paddle Boards! Truly lakefront! Property 13: Peaceful Home in the Heart of Downtown Anchorage 2BR & a new luxury 1BR Suite! Property 32: Conveniently Located Near Airport With Access To Everything Alaska Has To Offer! Property 34: Executive Home! Perfect Midtown Location! 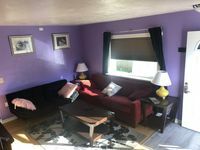 Close to Hospitals and College! Our group loved our homeaway! Great host. Answers our questions in no time. Big yard to play. Spatial rooms as well. 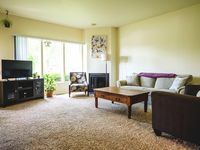 This condo has it all- well appointed, great location and friendly neighbors. There is a lot of attention to details and everything you need to make this home, is available. I appreciate the communication with the owner-Danielle made sure my stay was perfect.